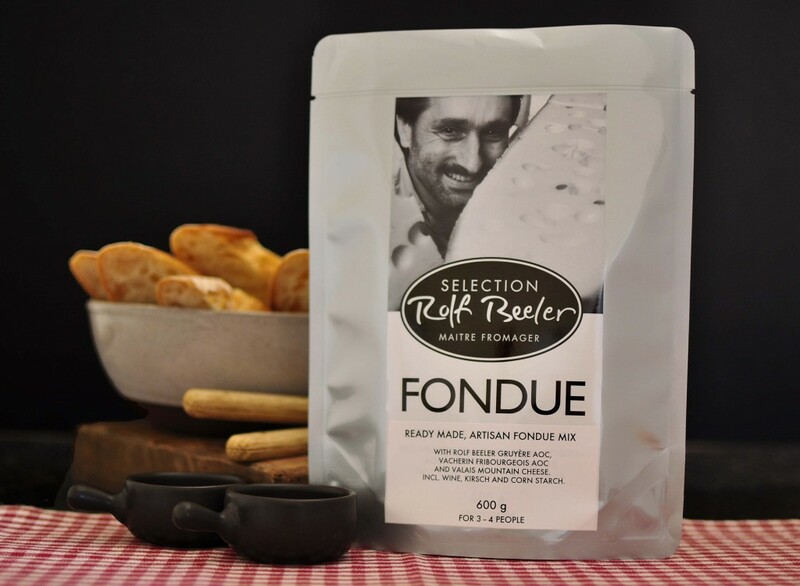 Rolf Beeler’s ready-made fondue mix contains his famous Sélection Beeler Gruyère AOP (18 months matured), Vacherin Fribourgeois AOC (7 months matured) and a secret Valais mountain cheese as well as Swiss white wine, Kirsch and corn starch. No preservatives. All you have to do is find a caquelon (fondue pot), pour the mix into it and gently heat it up. Done is your delicious winter cheese fondue experience with all authentic ingredients. 1 pack contains 600g of mix, ready for 3 to 4 people (depending on appetite). 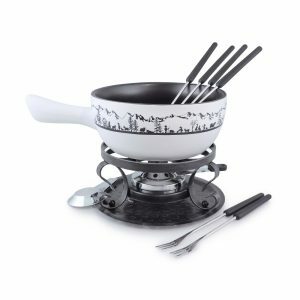 This fondue pack is available our online shop. We also have fondue sets available for your equipment needs. I’m desperate to get a couple of packs of this fondue mix in the next week here in sydney.